HELENA, Mont. (AP) _ Flood, snow, avalanche and fire alerts popped up Monday from Idaho to Colorado, as parts of the U.S. interior that were paralyzed by blizzards and floods last month braced for round two of an unusual weather phenomenon. 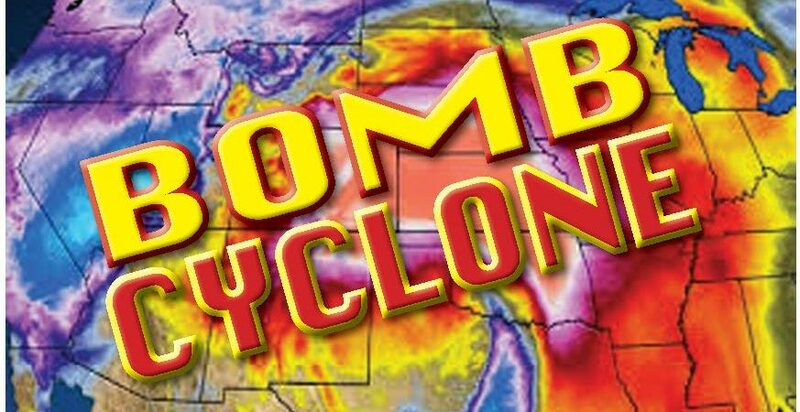 A bomb cyclone is a rapid drop in air pressure _ at least 24 millibars in 24 hours _ and often is over or near oceans or seas because it requires warm moist air smacking into cold dry air, along with volatile weather from the jet stream. The central and mountain part of the country may get one of these every few winters, said Greg Carbin, forecast branch chief for the National Weather Service’s Weather Prediction Center in Maryland.